The death toll in a huge blast at a chemical plant in eastern China has jumped to 47, with at least 90 more injured, state media say. The powerful explosion followed a fire at the factory, which produces fertiliser. China's earthquake administration reported a tremor equivalent to 2.2-magnitude at the time of the blast. The death toll makes it one of the country's worst industrial accidents in recent years. 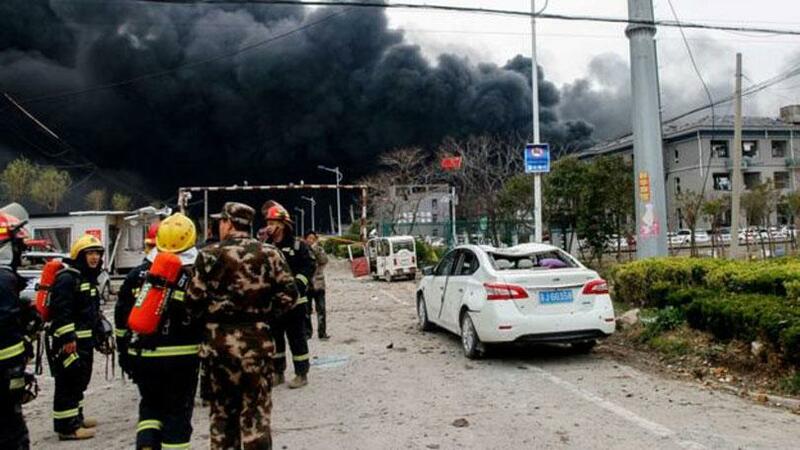 The blast happened at about 14:50 local time (06:50 GMT) on Thursday at a plant in Yancheng, run by Tianjiayi Chemical. 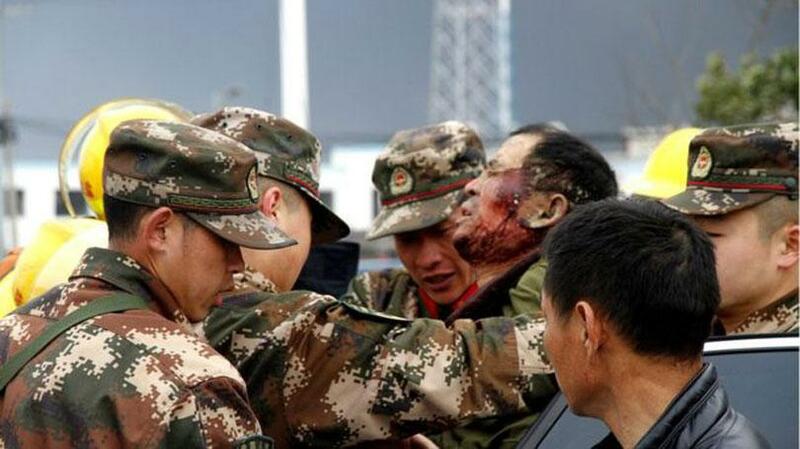 According to state news agency Xinhua, a total of 640 people were sent to hospital. Some 32 are in a critical condition and 58 have severe injuries, the agency reports. Images on social media showed a fireball exploding at the site, billowing clouds enveloping the area, injured people, and damage to buildings. The blast was so powerful that it knocked down factory buildings some distance away, trapping workers, according to local media. Staff at the Henglida Chemical Factory, 3km (1.8 miles) from the explosion, said its roof collapsed as they fled, and windows and doors were blown out. Provincial authorities said firefighters had to be brought in from across the province. The fire was brought under control at around 0300 local time on Friday, state TV said. Industrial accidents ranging from factory fires to mining disasters are common in China, often due to poorly enforced safety standards. In November 2018, at least 22 people died and 22 more were injured when a vehicle carrying chemicals exploded in northern Zhangjiakou. In July the same year, 13 people died after an explosion at a chemical plant in southwestern Sichuan. The biggest accident in recent years was the August 2015 Tianjin explosion, which killed more than 160 people and injured nearly 1,000.